Antique glass fire engine with fireman candy container with a large boiler and radiator. Original red metal bottom. It is marked “AVOR.2 OZS" on one side, and what looks to say "JS Co Jenet PA U.S.A." on the other side”. The red metal bottom is what is removed to put the candy in. It measures around 5”x 3 ½”x 2”. This one has a chip on the underside of the lip of the tall stack facing the back. It shows very well and is an awesome piece. (Perfect, they are selling at 150.00). Neat Nascar cookie jar is a trophy loving cup with a first place ribbon. Made of ceramic and made by Gibson for Nascar. Measures 11 1/2" tall. Perfect treats jar for the Nascar loving gang. 1992. 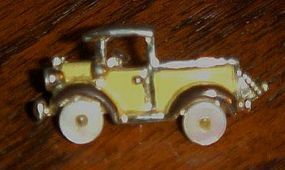 Adorable little vintage pin of an olde timey antique truck. Made of gold tone metal with enamel paint, measures just 1 3/8" long. No makers mark. Pin back in great shape too. Cut pin to wear if you belong to some of the antique car clubs. 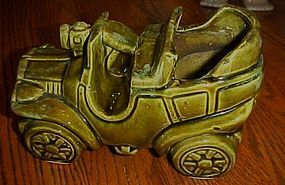 I believe this is a McCoy Floraline planter. Made of heavy pottery with a nice thick glaze and a subtle drip in the glaze. No markings though. Measures 5 1/2" tall and 8 1/2" long. One chip on the white unglazed portion of the bottom. Planter shows nicely, and chip not in view. Email me for a picture if you like. 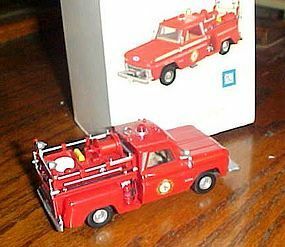 Perfect gift for the fireman. 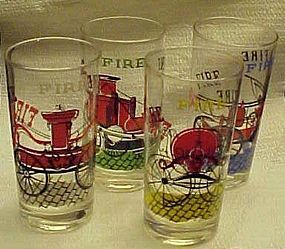 These vintage drinking glasses each have a printed enamel pattern of a classic antique fire truck from early times. Each glass has Fire Fire Fire on it too. These are probably anchor Hocking but not positive. Each glass measures 5 5/8" tall and is in excellent condition. Graphics are bright and like new. Selling as a set. 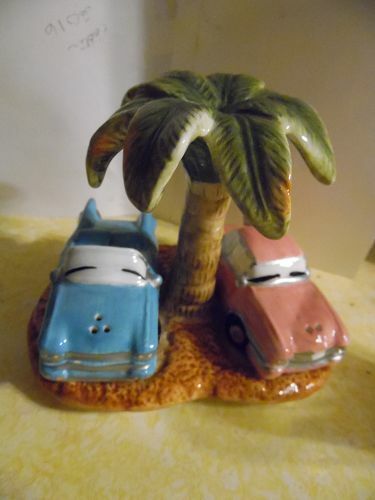 A cute cartoon ashtray depicting two ladies driving. A humerous look at what happens as a woman driver runs (into) a red light. Made of glazed ceramic and measures 8 3/4" x 4", and has 2 cigarette rests. No name or sticker. Appears to be from the 1950's. Perfect condition. 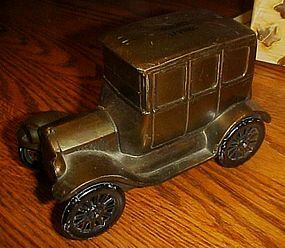 1926 Ford car Metal Coin Bank by Banthrico in USA.5.5" x 3.5" Very good condition with no damages and has original key and mechanism intact. Stamped on top of the car, Summit Savings. 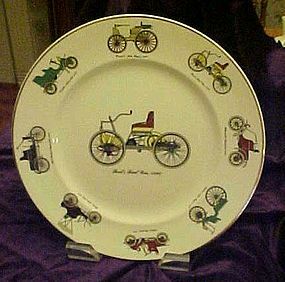 ANTIQUE CAR COLLECTOR PLATE made by Harmony House China. Diameter is 10 3/4.". 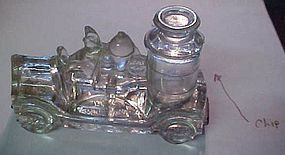 Has Ford's First Car 1896 in the center with other antique automobiles around it, such as Packard, oldsmobile,Duuryea's, and others. This plate has gold trim and is in excellent condition with no chips, cracks, or crazing. Extremely rare 1927 sheet music that marks a spot in our history for the industrial revolution. "When Lizzie changed her name to baby Lincoln" The new Ford Song. Words and music by Larry Shay. 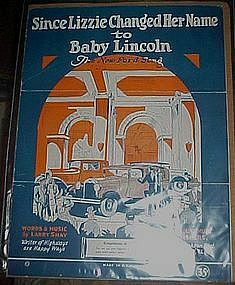 Cover shows the new models of the Baby lincoln in a showroom. There are some bends but no writing or tears. All intact. A rare find for the automobile collector, and milestone in our auto history. Should be framed! I have hundreds of wonderful original advertisements for all types of cars, and trucks from the 1930-'s through 1975. They have been carefully removed from old magazines. Most are color, some are black & white. Too many to photograph, I have chevrolet, ford, edsel, pontiac, buick, cadillac, packard, rambler, volkswagen, crysler, Lincoln, international and many more. If looking for a particular year and style I will see if I have it for you. 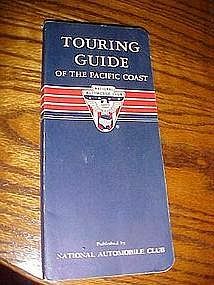 Vintage tour guide with maps and valuable travel information for the Pacific Coast. Published by the National Automobile Club in 1965. Measures 4 1/4 x 9 1/2 and has 190 pages. 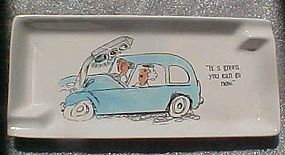 Nice glove box accessory for your vintage auto. Great condition with no writing or missing pages. Remember when every rear view window had a bobbing head dog or a hula dancer? 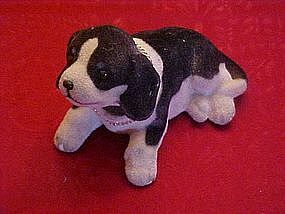 This is the little puppy, made of flocked molded plastic to give it that fuzzy look and feel.Needs to be cleaned. Good condition other than a skinned spot on the flocking on the front foot. Appears to have glass eyes. Measures about 3 3/4" tall and 6" long. 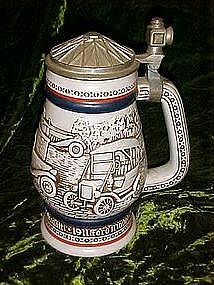 From Avon's transportation series, this 1979 stein is in great condition. Heavy ceramic, with lots of detail made by Ceramarte in Brazil for Avon. 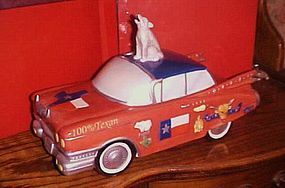 Depicts old antique cars, and has a pewter lid in the shape of an old wire spoke wheel. Stein measures 9 1/4" tall to the top of the finial on the pewters handle. A great gift for the car buff. Perfect condition. 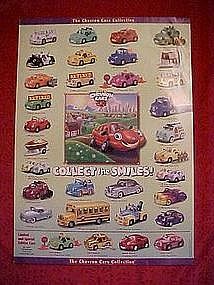 Collectors poster showing all of the chevron collectible cars. Poster measures 15 3/4" by 22". Bright and colorful. A great addition for your collection. All are brand new, price is for one. Let me know quanity when ordering. I have many!